Android 7.0 Nougat has been out for more than six months now, and most of the top-tier Android devices have it already. While the upgraded UI and better battery life are some of the obvious enhancements of the software update, there are some hidden gems like the ability to pin apps to share menu in Android Nougat. For instance, if you often share web links and always prefer to open them with a particular web browser, you can pin that specific browser to the share menu. To know more about this, check out the quick tutorial given below. Simply head over to any of the link or file that you want to share and make the share menu pop up. From here on, press and hold the function that you use often on the share menu and you will see a window pop up, so tap on “Pin” when it does. For instance, if you want to pin WhatsApp or just a specific contact from WhatsApp that you usually use the share menu, with you can pin them up. 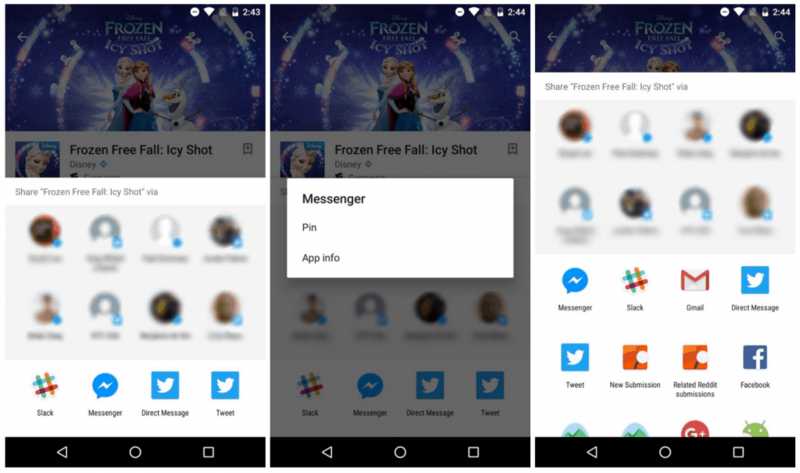 However, if you pin the contact from a certain app, the app itself will also be pinned to the share menu. Hopefully, Google can fix this tiny annoyance and make the share menu pinning work perfectly. Have you tried to customize and pin apps on share menu in Android Nougat? Do share your thoughts on this feature in the comments section down below.